If beautiful swimming pools are your kryptonite, you’ll love this article. Why limit yourself to having access to gorgeous, drool-worthy pools only when you’re on vacation? 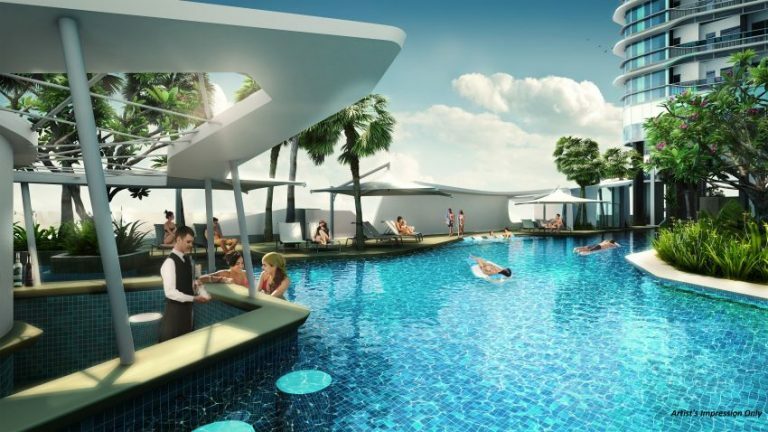 Check out these 10 condo swimming pools in Singapore, and purchase a unit to relax with your cocktail of choice, all day err day! 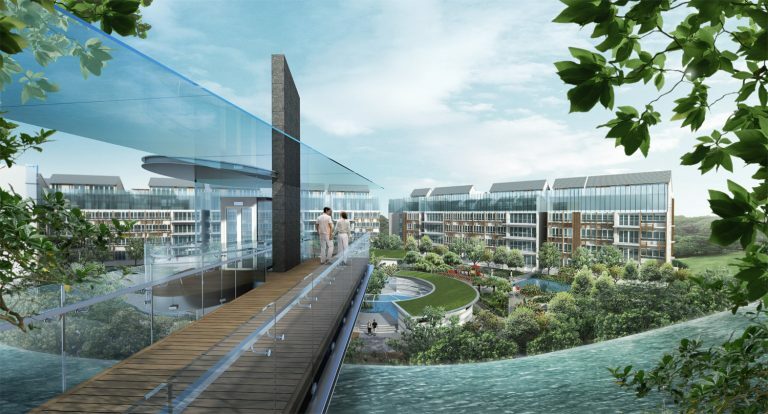 Located less than 10 minutes away from Vivocity, the award-winning condo project features nature-inspired water spaces that pass for a soothing urban escape. We would take a plunge in the Waterfall Terrace for a luxurious workout on any given sunny afternoon and then hop on over to the Spa Valley to pamper our back muscles in the massage pool. Never mind the pruned feet, there is still the Jacuzzi and waterfall grotto to round up Hydrotherapy Day. 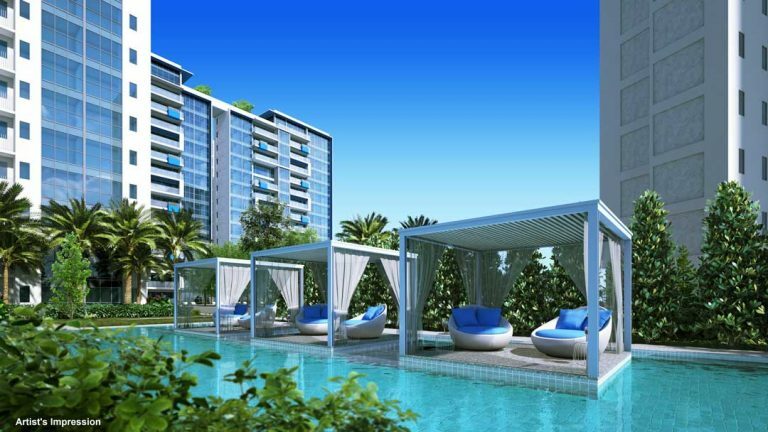 If the deferred payment scheme is not enough to tempt interested parties into snapping up a unit at OUE TwinPeaks, then the shimmering pool should. Yes, they don’t call it a swimming pool. It’s shimmering. 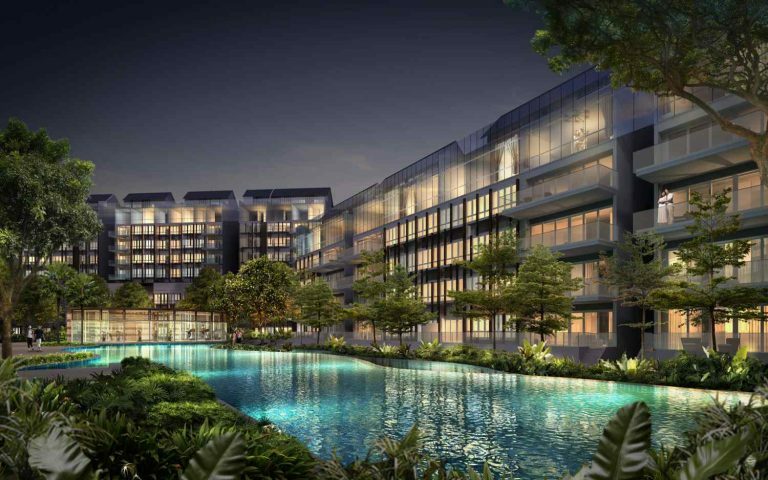 From the outset, it’s clear that OUE TwinPeaks promotes a grossly swanky condo living in the heart of Orchard, so much so that the pool reflects a five-star quality that can rival big name hotels in the vicinity. ‘Reflections’ is not a gimmicky term hurled into a condo project just because it has an Olympic sized pool, 100,000 square feet of snaking water space and two Jacuzzis. This is the true waterfront living where you might feel like you are swimming out to the yacht-filled seas beyond Keppel Bay, something you would probably only get at Sentosa. If you are able to find yourself swimming in Reflections one day, you know you have made it to a VERY exclusive club. This Mediterranean themed condo in the east is only slated to be completed in 2018. But judging from the impressions of the swimming pool alone, living here is going to feel like a retreat to the Greek Islands all right. The reflective pool, surrounded by mini palm trees and baby blue sun decks, has dainty multi-purpose pavilions sitting on them. Imagine being able to climb up from your laps for a tropical punch or two, while the reality of your new lifestyle is still setting in. If you happen to be forming a new home in Flamingo Valley, your friends and relatives (and their kids) might be visiting a lot more often. Not because of the good food around Siglap or the short distance to East Coast Park. And we don’t suppose it’ll be because of you too. Chances are, they just want to take yet another lazy swim in the beautiful blue oasis sitting within the tranquil greenery. The three-storey waterfall gives the pool a nicely layered visage and the surrounding fern valley adds a fern-tastically zen touch to what is one of the best condo pools we have seen. 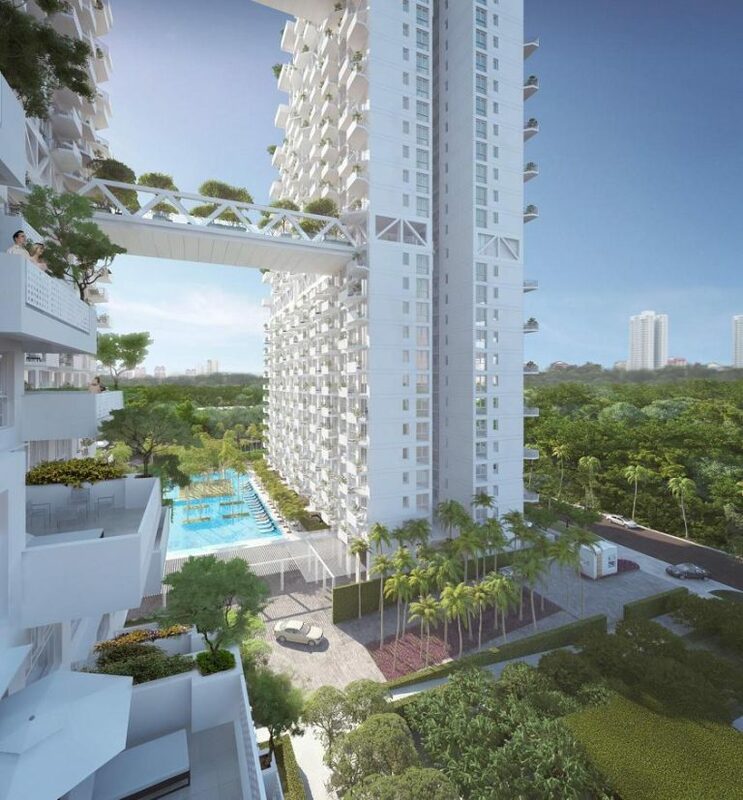 Renowned architect Moshe Safdie made a huge splash in the architectural world when his masterpiece in the heart of Bishan was unveiled. 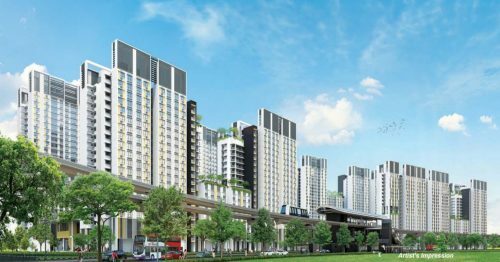 Not only is Sky Habitat’s terraced design attention-grabbing, the sky-high prices of the apartments are even more attention-grabbing. 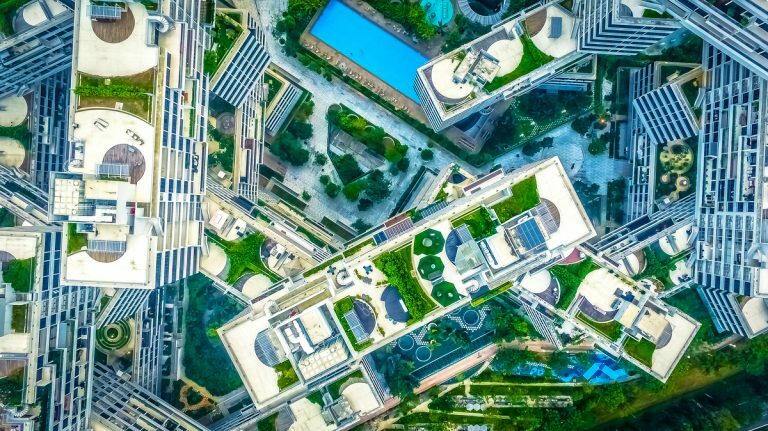 And it is for a good reason; the aerial walkways and prevalent garden spaces complement the sky pool on the 38th floor, where you can take a leisurely dip and admire the city fringe by the edge. You can take it as Bishan’s very own infinity pool, except with nonexistent tourists and fresher air. 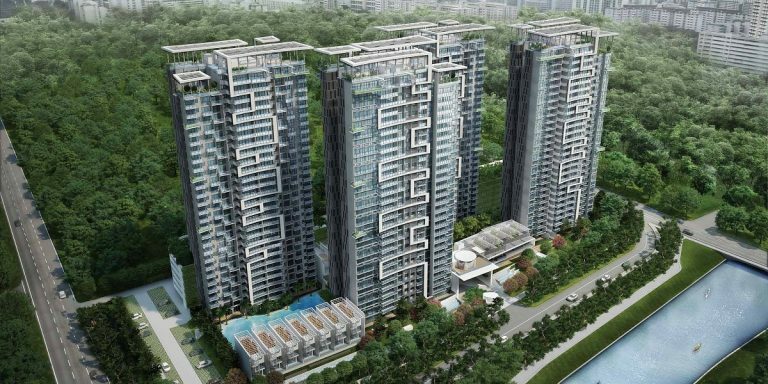 D’Leedon is one of the largest private residential developments in Singapore. Appropriately, the swimming pool would also have to deliver big time. 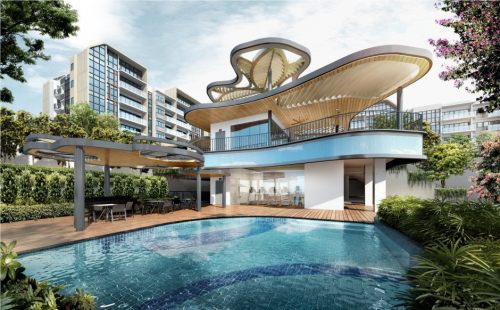 Award-winning architect Zaha Hadid, the brains behind the new condo that replaced Farrer Court, has designed the courtyard spaces and water bodies to be strategically interspersed apart. 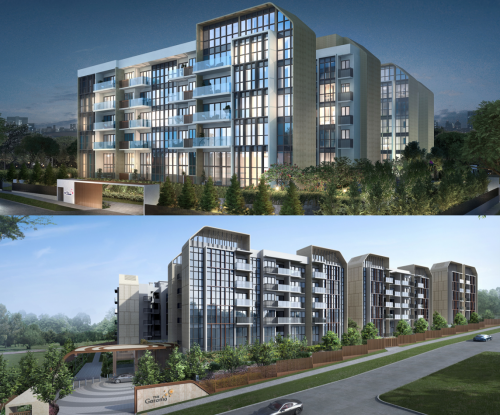 There are two pools – 50m and 75m in size — that makeup part of the sleek-industrial-meets-lush-meadow outlook of D’Leedon. They should provide more than enough swim space for Olympics-level training. Yes, this might be something right up Schooling’s alley. This is one of the newer kids on the block with a new frontier, on the swimming pool side of things that is. 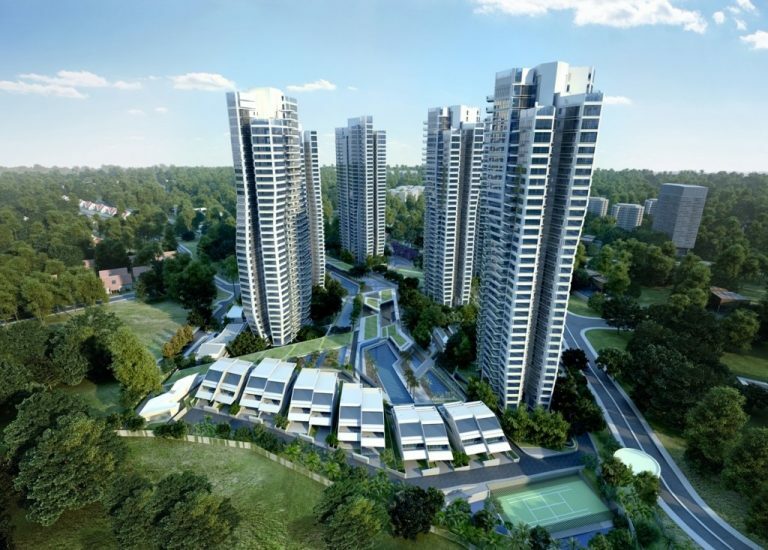 Located conveniently at Beach Road, City Gate has two levels of what they call an ‘eco-living paradise’. On the sixth level, the 40-meter long grand pool comes replete with an aqua lounger along the length, a Jacuzzi cove at the end, a sun deck, spa jets and a pool bar. On the 24th level, there is a landscaped pool lying adjacent to a city view pavilion that faces out to the Kallang Basin. Now, are you ready for a high living eco swim? There are a lot of suite pools in this one, and we’re not mincing our words. There is already plenty of aquatic element going around in the riverside living, but instead of scaling back on the pool facilities within the condo, designer Miyake Masaki has piled on with the 40-meter lap pool, spa pool, leisure pool, wading pool and a private wet deck for strata terrace owners. 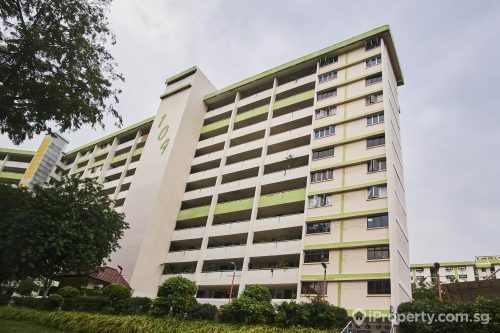 On paper, it seems like the condo is drowning residents in its numerous water features. Yet, the result actually comes across more posh than anything else. 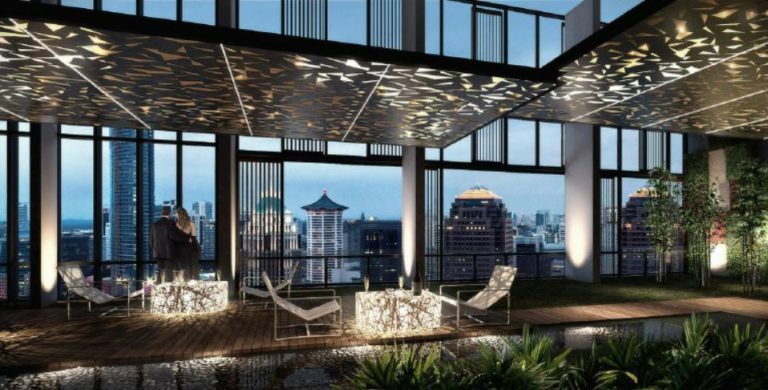 A 2-minute walk from Redhill MRT station, The Echelon has a rooftop infinity pool perched on its 42nd floor that blends nicely into the skyline of Singapore. Besides the pool lies their Sunken Lounge, which sits against a reflective pool, for residents to relax and savor the sights. Take a leisurely dip and bask in the stunning views of the cityscape. It’s just like the iconic Marina Bay Sands, sans the tourists and paying $500 night for a room.